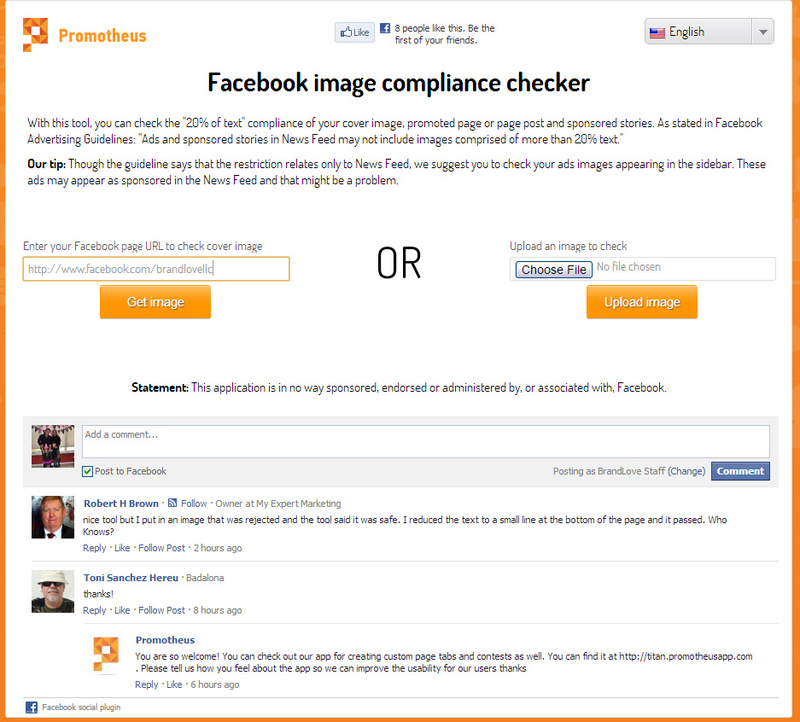 Are Your Facebook Cover Images and Ads Violating Facebook’s 20% Text Rule? Facebook recently has made some changes to the guidelines of cover photo’s, page post ads and sponsored stories in the news feed. Basically, you can’t promote images with more than 20% text in them. How do you know if you’re violating Facebook’s guidelines? In my opinion, it’s hard to tell unless you are a graphic designer and have the natural ability to eyeball the graphics. I found a handy tool that will help you quickly determine if you’re in violation. 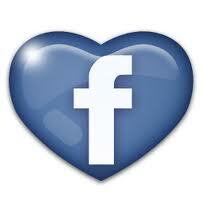 Facebook will also be releasing a tool to help quickly determine whether your image satisfies the 20% limit. In the meantime, check out the Promotheus app. With this tool, you can check the “20% of text” compliance of your cover image, promoted page or page post and sponsored stories. As stated in Facebook Advertising Guidelines: ” Cover Photo’s, Ads and sponsored stories in News Feed may not include images comprised of more than 20% text.” Though the guideline says that the restriction relates only to News Feed, we suggest you check your ad images appearing in the sidebar. These ads may appear as sponsored in the News Feed and that might be a problem. This new policy replaces previous policies around calls to action, price or purchase information, etc. It only applies to cover images, feed eligible Page post ads and sponsored stories (including links, offers, and mobile app install units) – it does not apply to market place ads. Additionally, brands can still post images with more than 20% text on their timelines; they just can’t promote them with paid media. 1. Type in your Facebook business page URL or Upload an image. 3. Next, click on the area (rectangles) where you have text. The Promotheus app will let you know what percentage of your graphic has text. If you’re 20% or less, you’re all set. Contact information. For example, your web address, email, mailing address or other information intended for your Page’s About section. References to user interface elements. For example, Like and Share or an arrow pointing from the cover photo to any of these features.